Earn $3.60 in Rewards credit (360 points) What's This? Power your most demanding rides with all organic ingredients. Honey Stinger's Organic Energy Gels feature organic tapioca syrup, organic honey added electrolytes, and great tasting flavors, these are sure to become your favorite ride fuel. 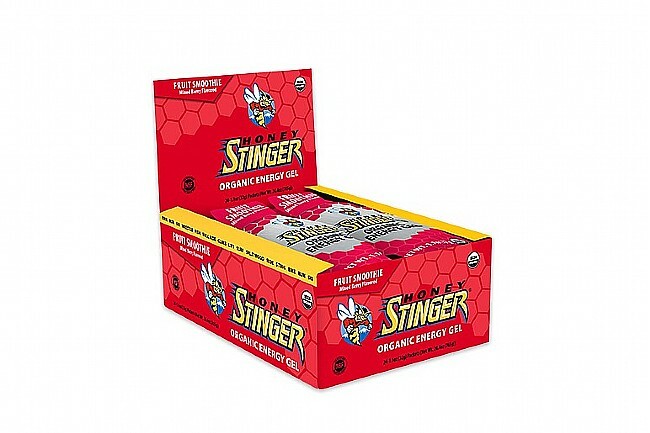 Honey Stinger Organic Energy Gels are sold in boxes of 24 packets. Flavors: Vanilla, Fruit Smoothie, Acai/Pomegranate, Chocolate, and Kiwi/Strawberry. One of my top gels, gives me great energy & I like the flavors! Use these gels on bike rides over 40 miles or so and 2 on 75plus miles. The difference in performance benefits from different energy gels is probably too small to notice. What I do notice is the flavor and how easy a gel is to digest. 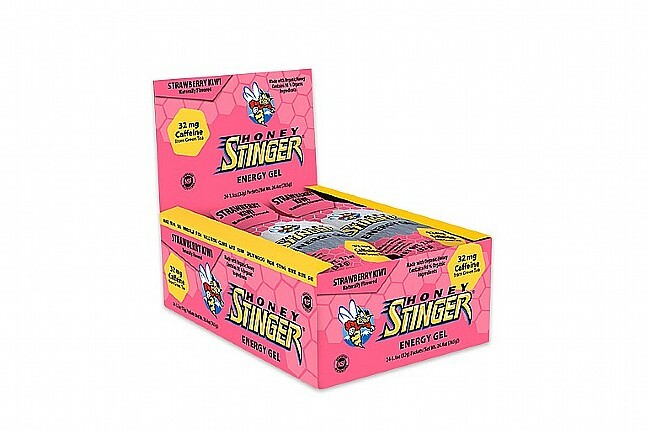 The Honey Stinger gels all taste pretty good, some, like the Strawberry-Kiwi, have a slight caffeine taste, which is obviously absent in the non-caffeinated flavors. I sometimes have digestion issues with maltodextrin, which is not an ingredient in the Honey Stinger Organic gels, but is a common ingredient in others. At the very least, it's nice to have a variety. i really like this gel. Taste is just right for me. I will use 1 gelhr on long rides. The tase on theis one is just right for me.